The North Carolina General Assembly is continuing to seek ways to address human trafficking in the state, passing two measures designed to help victims. SB 162- Human Trafficking Restorative Justice and two sections of SB 335- Budget Technical Corrections & Study give victims of trafficking more resources for help and clarify their legal status as victims. Rep. Brawley was referencing two changes that SB 335 would bring in regards to human trafficking. First, the bill would move the staffing responsibilities for the North Carolina Human Trafficking Commission from the Department of Justice to the Administrative Office of the Courts (AOC), and states that the Director of the AOC “shall allocate monies to fund the work of the Commission.” Second, it allocates $1.5 million to the NC Human Trafficking Commission to be used for victim services. These funds will help victims of trafficking recover. SB 162, which was also championed by Rep. Brawley, helps clarify the legal status of minors who are victims of trafficking. Under current law, a minor who is trafficked by a parent or guardian is considered an “abused juvenile” and is thus eligible to receive certain services from the N.C. Department of Health and Human Services. A minor, however, who is trafficked by someone who isn’t their parent or guardian is not considered an abused child and is thus not eligible to receive those services. 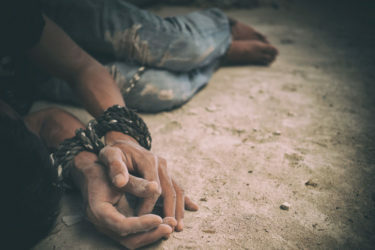 SB 162 would amend this and would include, as an “abused juvenile,” anyone less than 18 years old “who is a victim or is alleged to be a victim of an offense under” the laws against human trafficking, involuntary servitude, or sexual servitude. Another section of SB 162 provides further clarification regarding restitution for victims- holding the wrongdoer responsible for loss, damage, or injury to these individuals. Currently, the law mandates the recovery of the value of the victim’s “labor or services” and “any other amount of loss identified.” The new provision adds to what the judge may order: “any costs reasonably certain to be incurred by or on behalf of the victim for medical care, psychological treatment, temporary housing, transportation, funeral services, and any other services designed to assist a victim recover from any injuries or loss resulting from an offense committed under” the laws against human trafficking, involuntary servitude, or sexual servitude. This follows up on the work done last session, when legislators passed a measure that increased the punishment for trafficking activities and put in place preventative measures aimed at businesses frequently used by traffickers. According to the National Human Trafficking Hotline, North Carolina ranks in the top 10 in reported cases of trafficking, with as many as 2,559 victims since 2007. SB 162 and SB 335 have passed both chambers of the NC General Assembly and await Governor Roy Cooper’s signature.